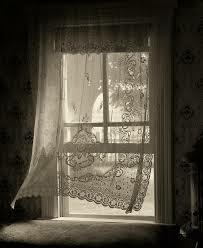 The morning breeze wanders in through an open window, and moves softly across the room. It brings a small chill to my sweat-covered arms, shoulders, torso. It is a quiet visitor, so quiet that I would not have noticed its presence were it not for its caresses. Other sounds enter the room: a crow on sentry duty croaking a murderous warning; an airplane leaving the city, carrying its hundreds to another city; the shower sound of our elderly asian neighbor watering her flowers, as she does every morning. The breeze did not bring these other sounds with it; they have come of their own accord and in their own way. At first I wish they would remain outside, would leave me and my breeze alone in silent communion. But then I remember that they too are part of the morning world, and have as much right to be here as anyone. Good morning, wind. Good morning, crow. Good morning, airplane. Good morning, neighbor. Good morning.